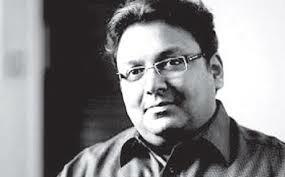 Called the Dan Brown of India, Ashwin Sanghi is an Entrepreneur by day and a novelist by night. He is a successful businessman, who manages a parallel career as a well known novelist. He first thriller The Rozabal Line, was written under the pseudonym of Shawn Haigins…which was as an anagram of his own name. He later re-published it under his own name and this book went on to become a National Bestseller. The historical research Sanghi does on all his novels is very impressive. He cleverly brings history, politics and religion into his stories. He says he writes to entertain and enlighten!!! Sanghi discovered at an early age that numbers were not his forte but history was!!! Writing historical books in the thriller genre is his passion and hobby. Sanghi recently has signed on to co-author an Indian thriller with the world’s best selling thriller writer James Patterson.